The Cuff Collection brings diverse materials together with precision-cut patterns inspired by nature, craft, fashion, and architecture. The transparency of the cut-out metal is juxtaposed with the mass of the base and top, which can be specified in a variety of metal and wood finishes. 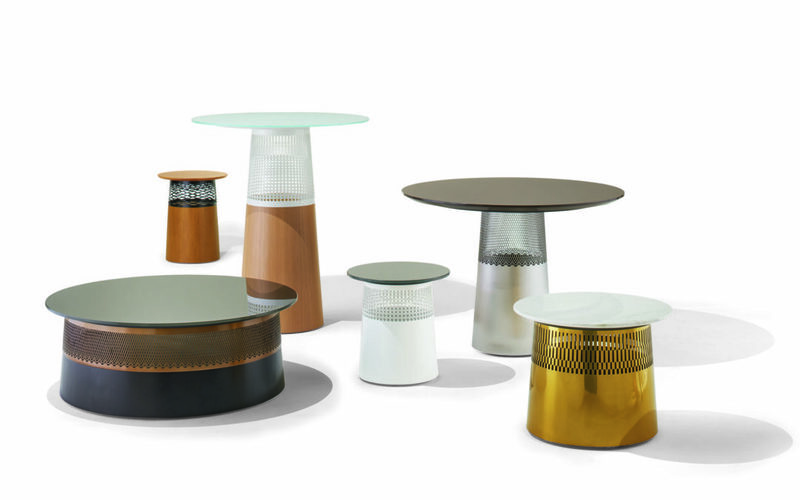 Combining the elements in innumerable ways means tables as striking or light-hearted as environments call for.